http://www.nextgreencar.com/electric-cars/statistics/ so it’s likely no one in your business has even considered an EV let alone drives one, but that’s all changing. Vehicle manufacturers are increasingly incorporating EVs in product line-ups and it’s predicted there will be between 1-1.2 million EVs on our roads by 2022. The government expects plug-in cars to make up 5% of the new car market in 2020. Last year sales of EVs grew by 27% http://www.autoexpress.co.uk/car-news/102226/uk-electric-and-plug-in-hybrid-car-sales-hit-record-levels and their popularity will only continue to grow. In just a few years’ time you could easily be employing people who have opted for EV driving or you could be welcoming clients driving an EV. Whilst providing an EV charger in your company car park is unlikely to be on your agenda now, preparing for the rise in EV ownership is something worth considering. Providing a charger in your company car park could give you a few brownie points in the recruitment stakes whilst the impression you give to visiting clients is that you are a progressive, forward-thinking company. Providing charging points also ticks the corporate social responsibility (CSR) box as you will be encouraging employees to reduce their carbon footprint by going electric enabling them to charge during the course of the working day. Initially, you may wish to provide a complimentary charging service to employees and visitors since numbers will be low, long term that probably isn’t sustainable as more and more motorists switch to EV driving. As the numbers of EV drivers increase, providing one or more charge points in your company car park will become a necessity. With the government working towards a 2040 deadline of no sales of petrol or diesel vehicles, although the National Grid supports bringing it forward a decade to 2030, the fact that 43% of households don’t have off-road parking equating to an estimated 9 million cars which will need charging https://www.ft.com/content/b9cd3dbc-e406-11e7-97e2-916d4fbac0da away from home, the need for employers to provide charging facilities will come further to the fore. Electricity supplier Good Energy is already trialling a scheme where employees pay for a parking space at work but can charge their EVs for free. Currently, there are around 10,000 charging points in the workplace with the majority, 85,000 found at home. Home charging is expected to continue to remain the most popular place to charge an EV, and workplace charging will provide a ‘top-up’ for commuters with many employees taking a turn to charge their vehicle throughout the day. 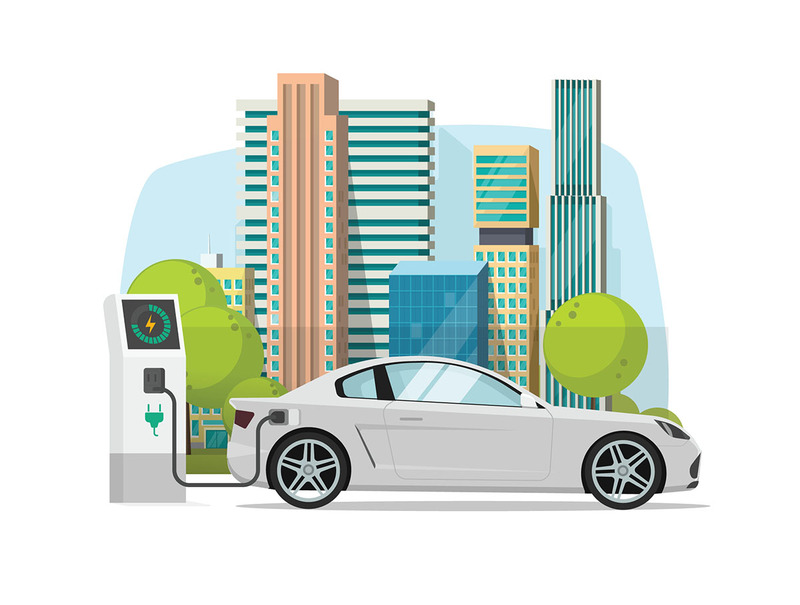 With grants available https://www.gov.uk/government/publications/workplace-charging-scheme-guidance-for-applicants-installers-and-manufacturers for employers installing a charge point, now is a good time to think about providing facilities for EV drivers on the payroll. As an energy management consultancy, we’re already talking to our clients about installing EV charge points for employees. We can handle the entire process from providing information on the grants available and your application to identifying the most competitive electric supplier. Grants are available through the government’s Office of Low Emission Vehicles (OLEV) for work charge points. Organisations must provide evidence the charge points are for use of their staff and fleet under the Workplace Charging Scheme (WCS), which contributes towards the upfront costs of the charge point for eligible business, charities and public sector organisations. For more information and to be a part of the EV revolution, talk to us today.